It seems that every morning this week I’ve woken to NPR reporting on the current dreadful situation in Syria. Each report has ended with the reporter signing off, “from Antakya, Turkey” and each time I’ve heard that I’ve been able to picture this pretty Turkish city in my mind since we spent three wonderful days there just a year ago. 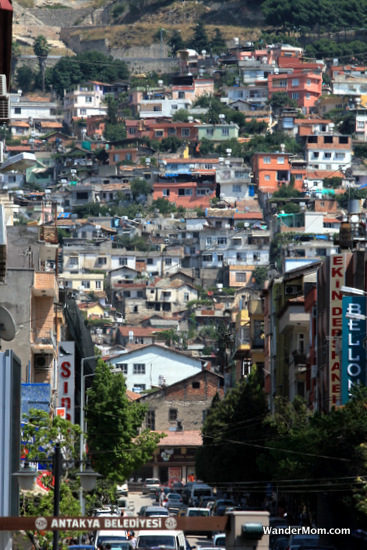 I thought that if I shared my photos of Antakya then you too would be able to picture what Deborah Amos is seeing as she writes her reports about Syria. 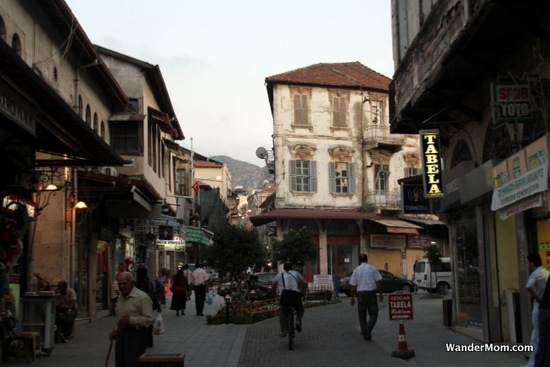 This street is in the very center of Antakya. It is a pedestrian street lined with restaurants, coffee shops and stores. I wonder if the NPR reporter was sitting right here when she filed this sad story about the harsh human cost of the fighting in Syria. 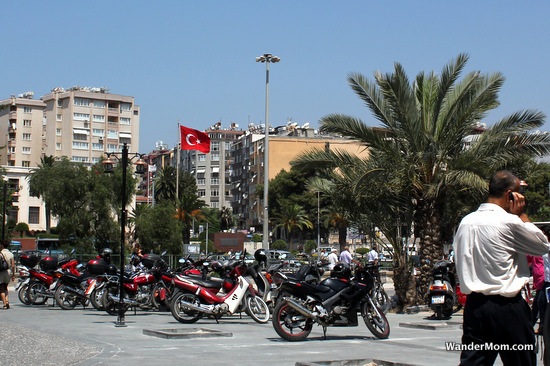 This entry was posted in Turkey and tagged Antakya, Turkey on July 13, 2012 by wandermom.